It's been 30 years since the release of Troop Beverly Hills! The comedy hit theaters on March 24, 1989 and has remained in fans' hearts ever since. 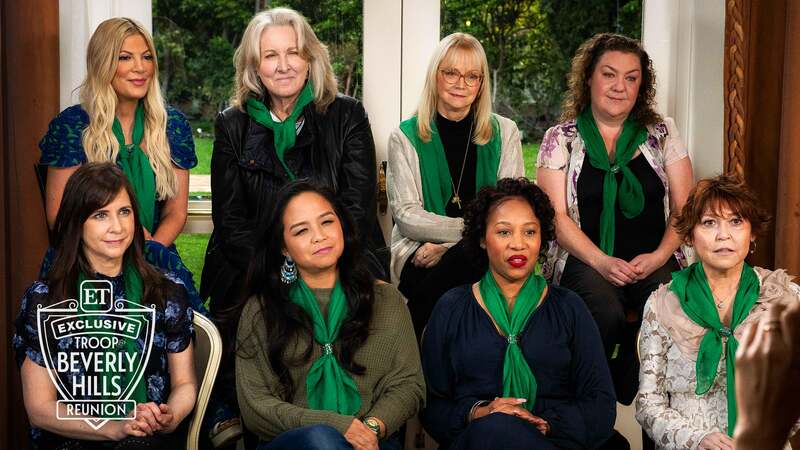 The feel-good classic stars Shelley Long as a California socialite who takes over her daughter's (Jenny Lewis) girl scout troop -- and only ET is reuniting the cast for the special anniversary. 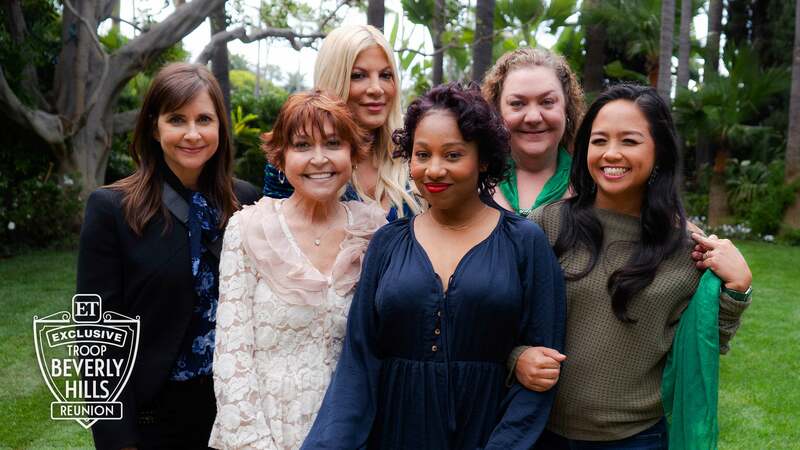 Long, Betty Thomas, Tori Spelling, Kellie Martin and more of the former Wilderness Girls sat down together at the iconic Beverly Hills Hotel for songs, surprises and secrets from the set. "May I say? I am so proud of these girls and this girl too," Long said, hugging Thomas next to her. "I am! You know I am. And that's really why I did this, because of the girls. They are so wonderful." And for all the fans out there? "Well, you can be a Beverly Hills girl! One, two, three, four--"
And with that, the entire troop launched into a round of, "We’re the girls from Beverly Hills, shopping is our greatest skill! We will fight and try real hard, leave behind our credit card! Beverly Hills, what a thrill! Beverly Hills, what a thrill!" For those wanting to relive the iconic movie with a stay at The Beverly Hills Hotel, the hotel is offering a Troop Beverly Hills package to celebrate the film's 30th anniversary. Included in the package are massages, sleep masks and robes and more for a fabulous weekend at the Pink Palace. 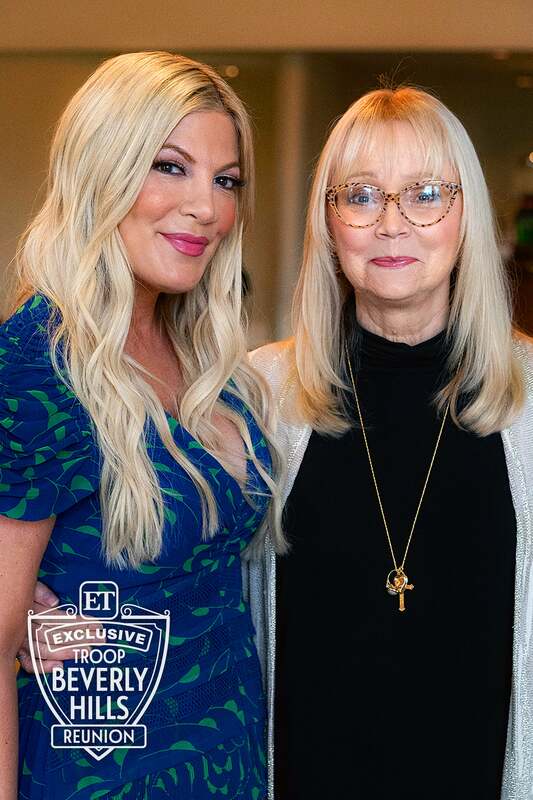 Don't miss the fun of the Troop Beverly Hills reunion on Tuesday on ET and ETonline.com.